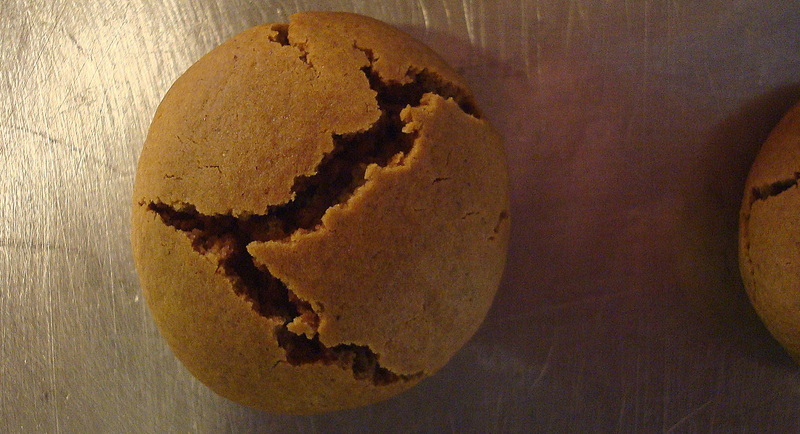 My grandmother used to bake these and give them to her grandchildren. I remember Christmas after Christmas as she would hand me a small coffee can, lined with foil and filled with Pfeffernüsse. The mild anise aroma and flavor was mystical to a 7 year old boy. Her recipe–and this one is straight out of the 1963 edition of Betty Crocker’s Cooky Book, page 45. Heat oven to 350°. Mix shortening, sugar, egg, molasses and anise mixture. Blend dry ingredients. Mix in gradually with hands. Knead dough until right consistency for molding. If dough seems too soft, refrigerate until firm. 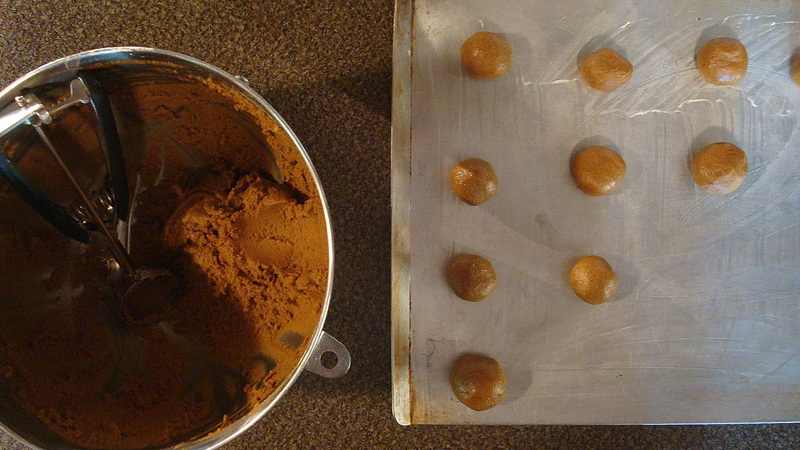 Mold into ¾ inch balls, place on greased baking sheet. Bake about 12 minutes or until golden brown on the bottom. Cookies harden on standing. 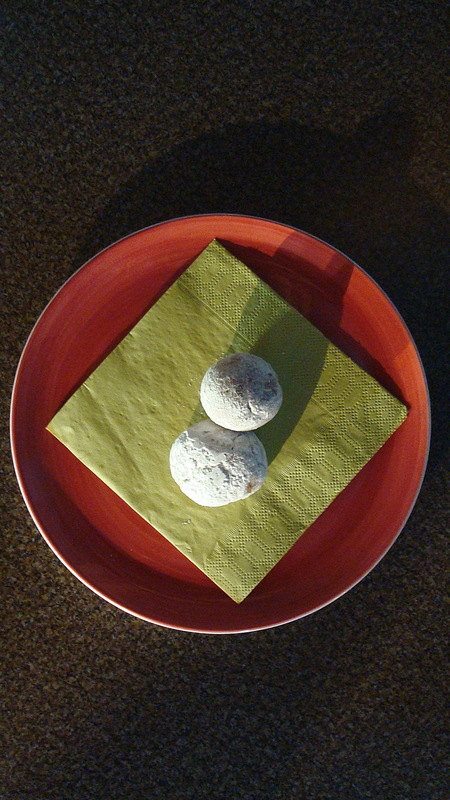 When firm but still warm, roll in confectioner’s sugar. A handy method is to place about a cup of confectioner’s sugar in a gallon size zip lock bag. 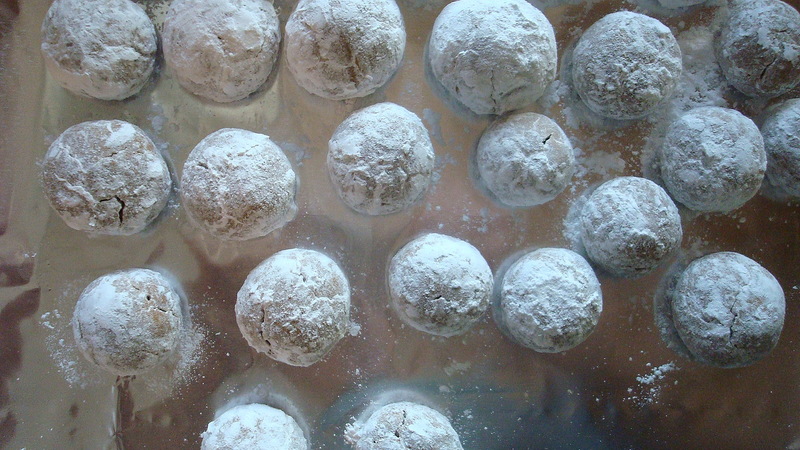 Add 8 – 10 cookies and gently roll them around to coat. Take them out and place in and airtight container with slice of apple to mellow them.